I guess you need to run the arc over the full length and also account for the height of the text. 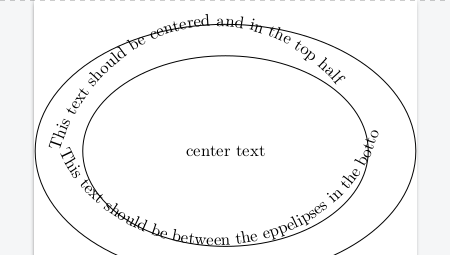 EDIT: Added text align=center, another big thanks to Max! Not the answer you're looking for? Browse other questions tagged tikz-pgf alignment or ask your own question. How to decorate a \pic path?